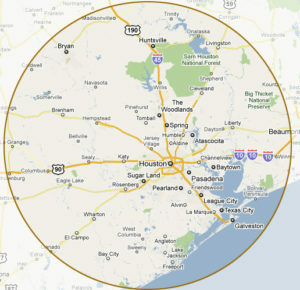 If you are not sure if Houston Luxury Lighting comes out to your area, give us a call. More than likely, we do. We provide residential and commercial design, landscape lighting, pool lighting, deck lighting, security lighting, tree lighting, LED lighting, interior LED light conversion, service and repair. Only quality American-made products backed by a 20-year manufacturer warranty and stand behind our work with a satisfaction guarantee.